Salam alaykum! Thanks for the post — it’s exciting to see people talking about Islam in the early US. 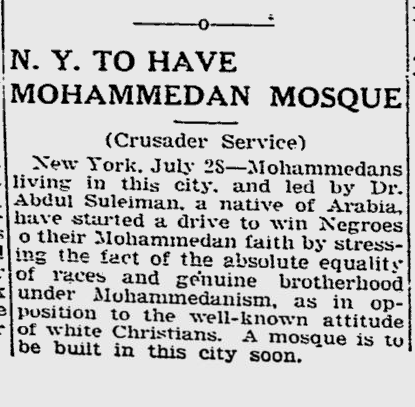 However, there were probably masajid in NYC that predated this one. There were many Albanian and Polish Tatar Muslims in the city during the first decade of the 20th century. There were also a number of Bengali Muslims in the city as early as the late 19th century. Many of them integrated with the African American community at the time. Check out Vivek Bald’s “Bengali Harlem” for more — great book, can’t recommend it enough. 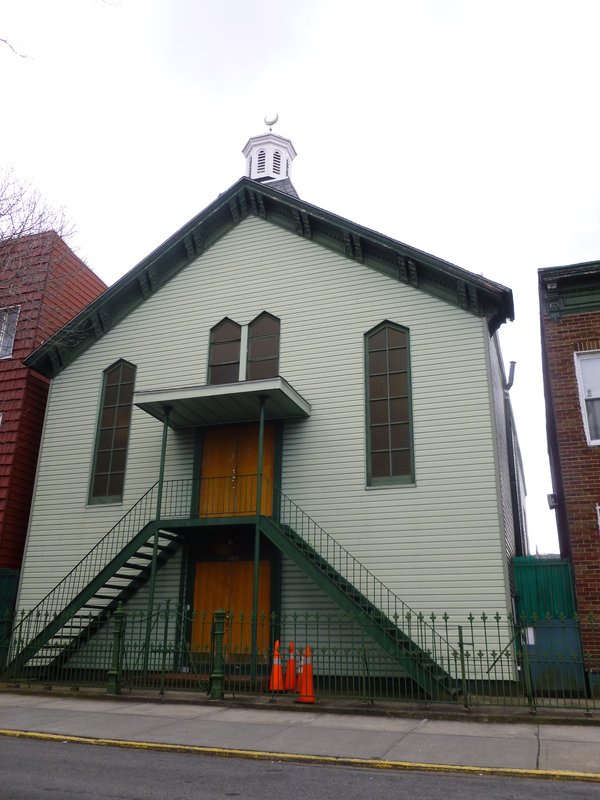 Going further back, there were likely some enslaved African Muslims in New York in the 18th and 19th centuries. It’s doubtful they were able to establish a mosque though. Michael Gomez discusses this in his book, “Black Crescent.” The history in NYC (and the rest of the US) is deep! Thanks for the comment. As Kiran mentions at the end of her post, we acknowledge that there were likely earlier Muslim prayer spaces in the city. What we find remarkable about this place is that it’s still around. And we’re in the midst of reading Bengali Harlem now. In fact we heard Vivek Bald speak on his book and forthcoming documentary just last week at NYU. Fascinating work! Great informative article, but sad to know that it opens only occasionally and that too for funerals! Wish somebody could appoint an Imam and start the obligatory prayers. Thank you Adeel! I hope to learn more about this place. Thank you for writing this article! Please feel free to contact me if you’d like to find out more. I’ve done quite a bit of research into our history and would be happy to share it with you! Hello! I would love to speak to you about my mosque! Please feel free to email any questions you may have. I’m very excited to have found this article. This was my grandparents and their children’s Mosque. My grandparents, my father, my aunt, my uncle, and my cousins are all deceased now. I can tell you how to get several pictures of the Mosque even television coverage if you want. Hello! I would be more than happy to speak to anyone about this mosque as it is my own! I am a member and on the executive board. The article above it wonderfully written and I truly appreciate it! I am so lucky to have stumbled upon it! It’s true we’re only able to be open during holidays and special occasions, as we do not have our own Imam, but we’re working on it. We’ve recently begun cooking classes to create traditional Tatar dishes, as well.